So I don't normally tag myself as a science-fiction, post-apopolyptic world mega fan, but guys. This book is turning me into one. About a month ago we were visiting my in-laws and I was lamenting to my father-in-law that I had nothing to read. I had brought three books. I finished the first, abandoned the second, and had the third on my iPad which I promptly lost. I did end up finding my iPad under the seat of my car about a week after losing it, but my book had expired by that point. My father-in-law immediately went into his room and came out with this book. 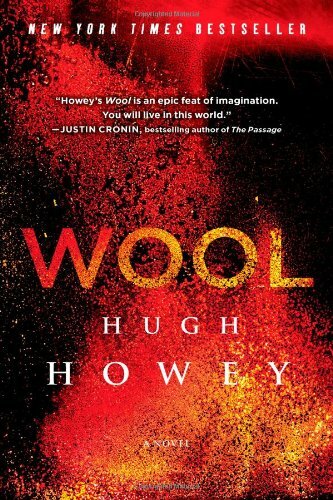 Wool by Hugh Howey. He described it as a sci-fi book, at which point I was very skeptical, because I don't even like science. And in general, I'm not sure what type of literature most men in their 60's like. It's a field I've never delved into before. But once I cracked the cover, I could not put it down. It's definitely science-fiction but I would also categorize it as post-apopolyptic. Like I said, I'm not a huge fan of this genre, but I have read The Hunger Games, which I loved, and Divergent, which on a whole I did not like, although I thought the ending was really well done. One of the big differences between these and Wool is that it's not a YA book. The characters are adults, it's quite a bit longer and quite a bit more science-y. The content isn't any more mature, in my opinion, although there are several F-bombs, and I don't remember any of those in either The Hunger Games or Divergent. After I finished this book, which like I mentioned, I couldn't put down, I told my husband, "that's the best dystopian book I've ever read." And guys, I really like The Hunger Games. But I rank Wool slightly higher. Wool is a story about people who live in an underground Silo because the atmosphere of the earth has become poisonous. One thing I really like about Wool is that you get the perspective of a few different characters, Holsten the Sheriff, Jahns the Mayor, and Juliette the mechanic. 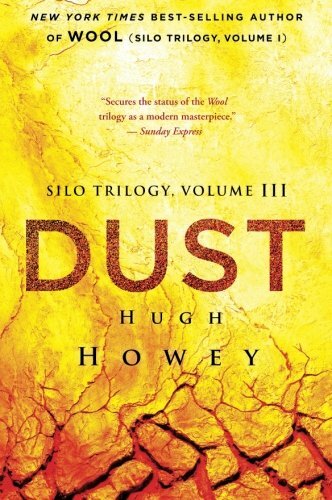 Each character struggles to uncover truth about the silo without plunging the silo into hatred and chaos. 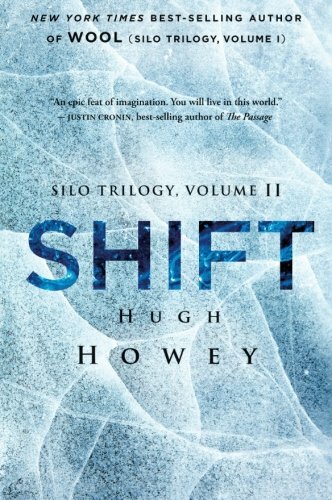 The book actually started as a short story, self-published in 2011, and as it grew in popularity, Howey added to it. It's print publication is now held by Simon. & Schuster, but Howey holds all the rights to it's online distribution still, which I think is pretty cool, and which makes me want to buy it online. It's film rights have also been purchased, and even though I always roll my eyes at the movie theatre when ALL the movie previews are for post-apoplyptic films, this is one the I would actually be so totally stoked to see. The best news? It's a trilogy. I've still got too more books to devour. Soooooo excited. You can find more of my book recommendations on instagram and Pinterest.